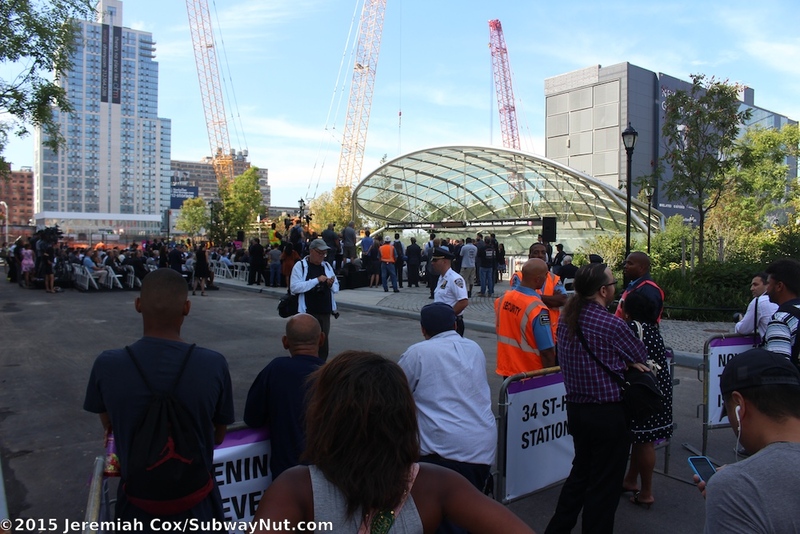 34 Street-Hudson Yards opened on September 13, 2015. 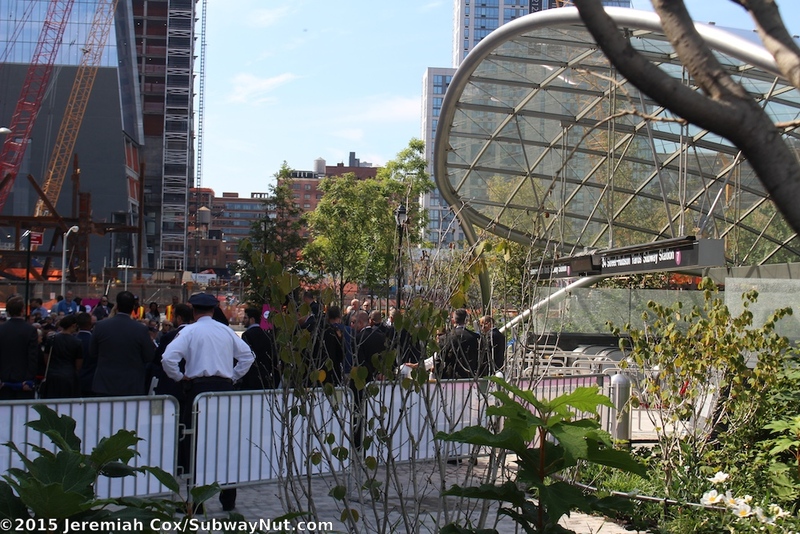 It is the only station on the first new subway extension to open a new station in nearly 26 years (the previous extension was the 63 Street Tunnel with 3 new stations that opened on October 29, 1989). 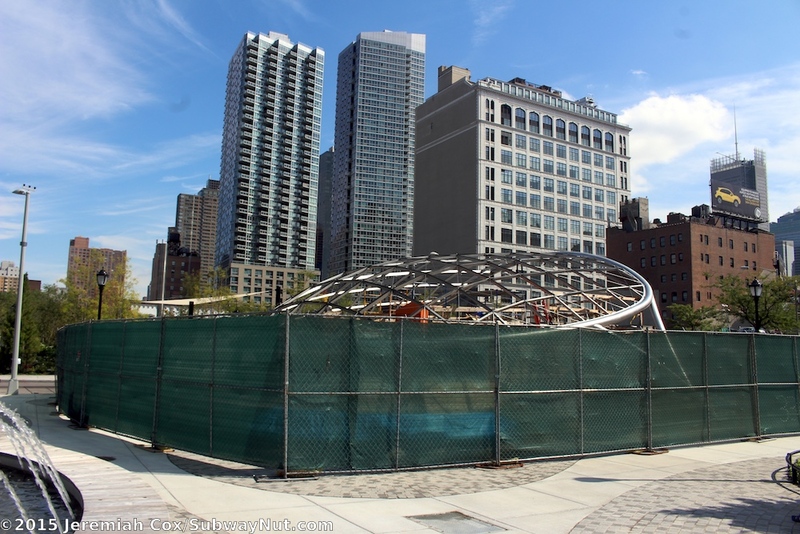 The station became the terminus and only intermediate stop after the proposed stop at 10 Avenue and 41 Street was shelved due to cost-cutting of the 7 Line Extension to the Far West Side. 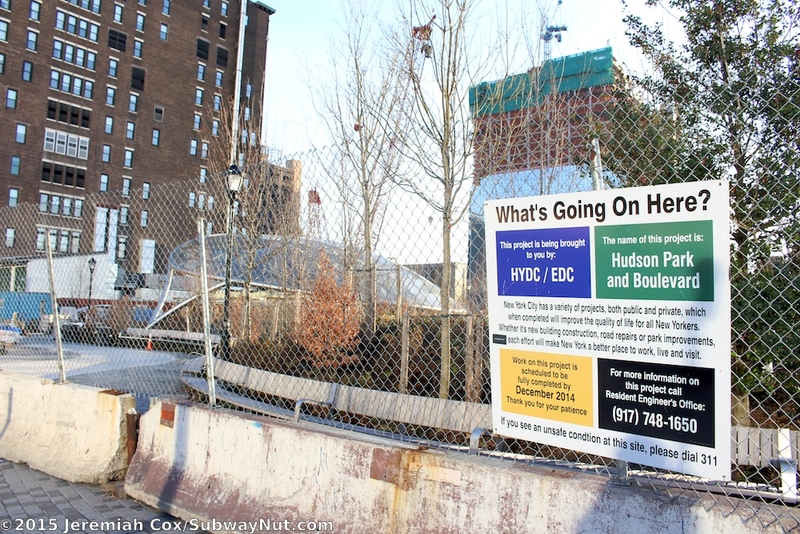 The total cost of the extension was $2.42 billion all funded by the City of New York (the first subway extension entirely funded by the city in about 60 years). The goals of the station were first to provide access to proposed but the never built West Side Stadium. 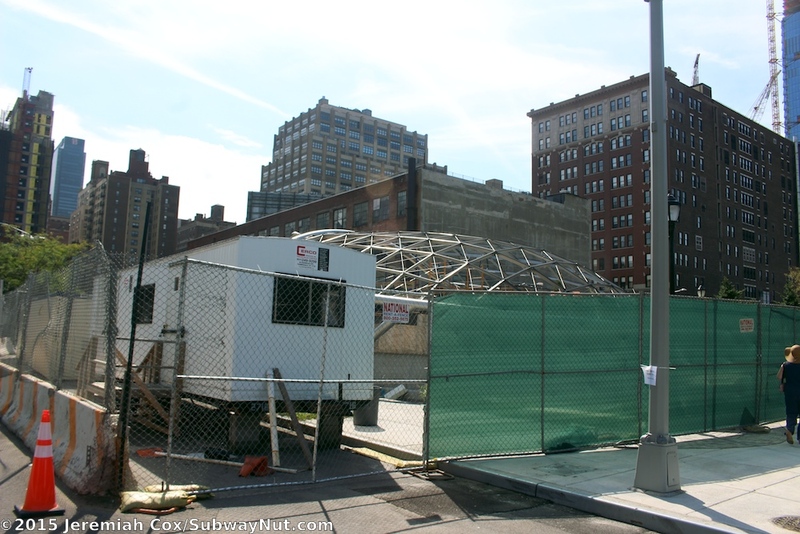 This was instead changed into a major rezoning to facilitate a number of large mixed-use developments. 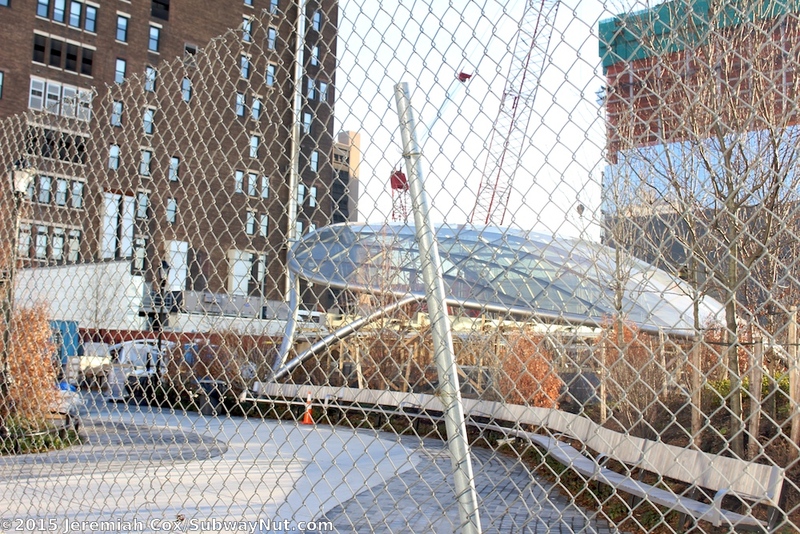 Construction of the extension began in December 2007 with Mayor Michael Bloomberg's goal to open the station before he left office (he took a ceremonial ride on the completed tracks to the incomplete station on December 20, 2013) Major delays, the last ones caused by the failure of the stations inclined plane funicular-like elevators delayed the opening another nearly two years. Amazingly, with all the delays the station opened without TransitWireless cell phone and wifi service, and will be wired in the next few months. 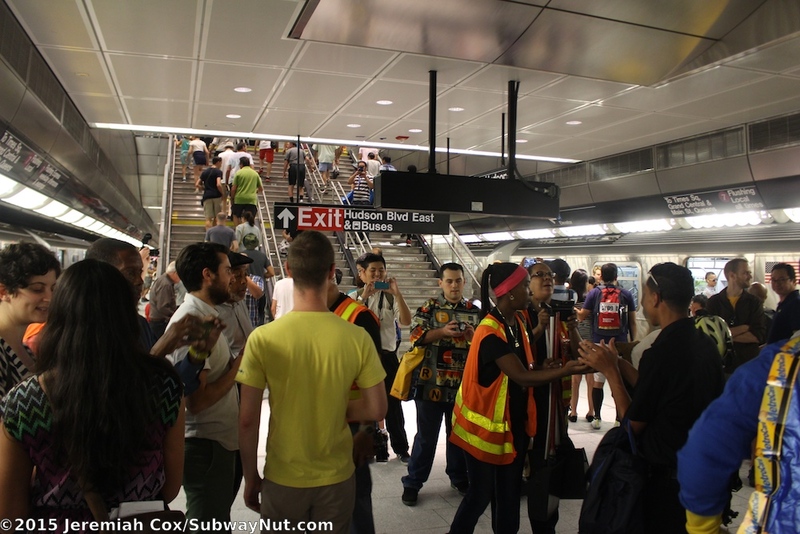 The station itself consists of a wide cavern with a single island platform 125 feet deep below street level under 11 Avenue. 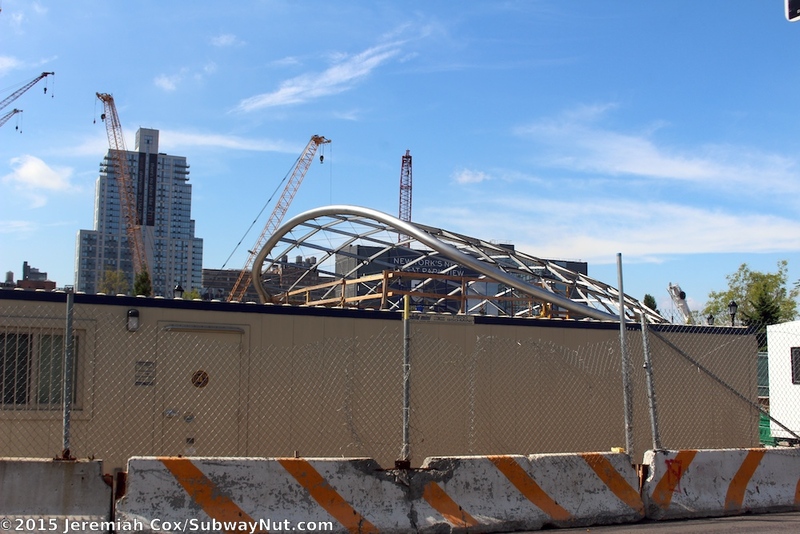 The tunnels continue 8 blocks south of the station to 26 Street, forming tail tracks to store up to 4 trains. For relaying and reversing trains there are diamond crossovers on either side of the station platform. Normally trains reverse before entering the station and can depart from either platform with digital displays indicating the next train and if its local or express. The permanent platform signs indicate that during PM rush hours (when express service is running) all local trains will depart from Track 2 (the western track) and all express trains will depart from Track 1. During hours with only local service either platform is in use. 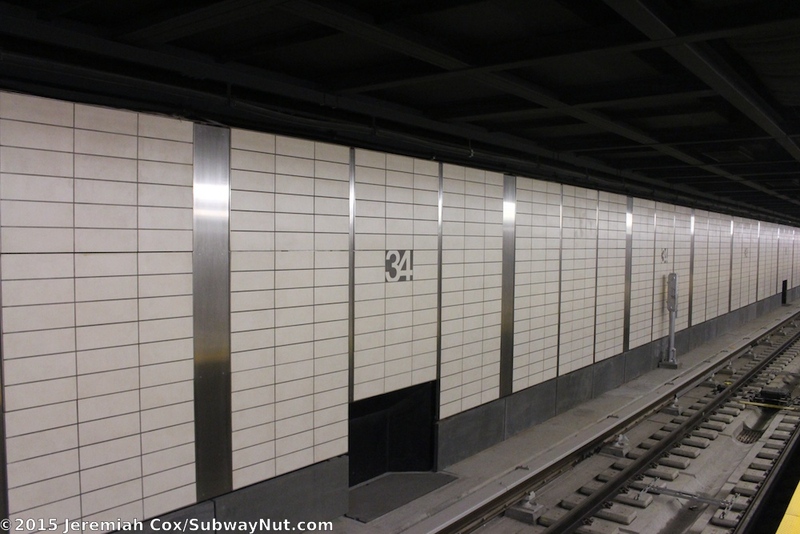 The track walls have off-white tile-blocks with silver sheeting between sets of blocks. 34 is outlined in a dark grey color at regular intervals. 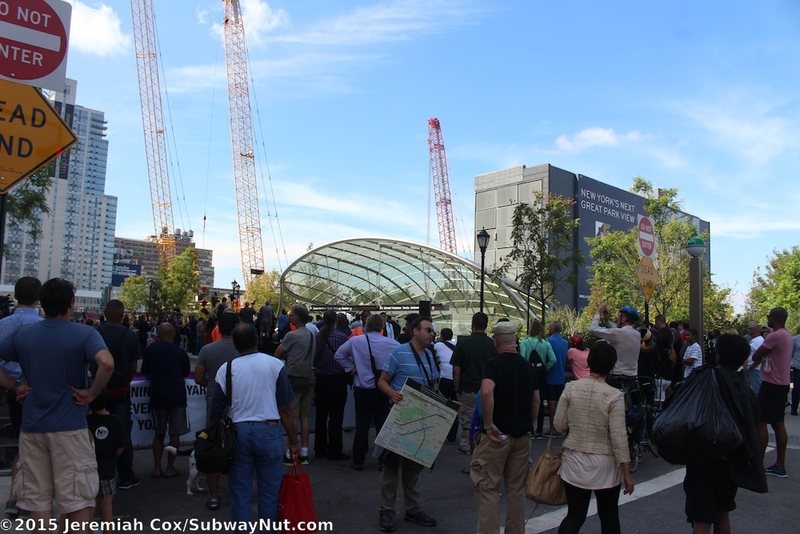 The MTA is extremely proud of the fact the platform is extremely wide and column-less. Lighting is primarily from tracks of florescent tubes along the platform edges. 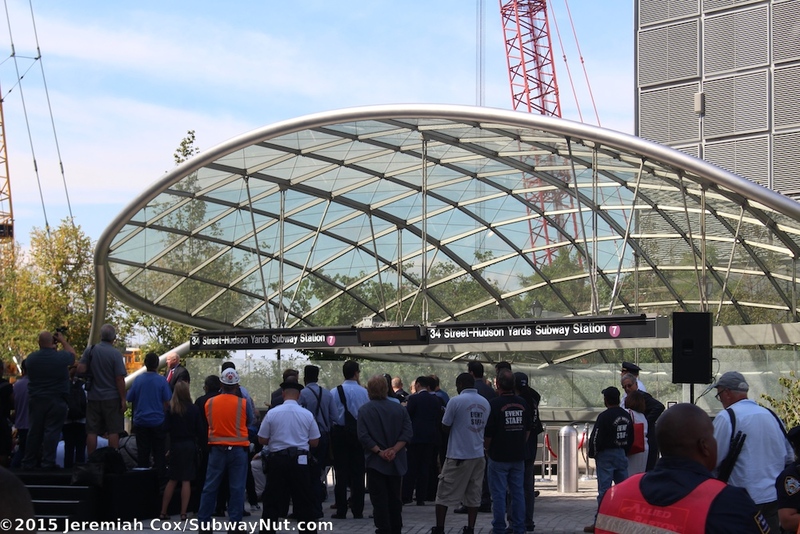 The platform ceiling is sheathed in silver finishes. Large digital clocks in 24 hour time (as is used by the MTA for operations) are at the northern end of the platform for the train operator and in the middle of the platform for the conductors. These are for departure times. In addition numerous LED displays (that will display countdown clock information once the 7 train receives CBTC scheduled for 2017) are scattered along the platform right now indicating with arrows which platform for the next train. 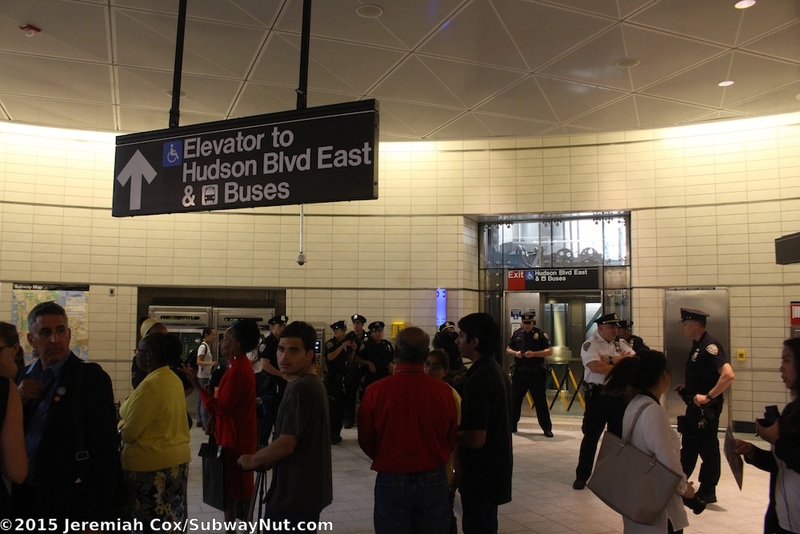 To leave the platform, eight sets of stairs (the middle six are triple-wide, the ones at the ends of the mezzanine are double-wide) and a single elevator directly in the middle of the platform lead up to a nearly full-length mezzanine (109 feet below street level). This mezzanine is wide and airy. 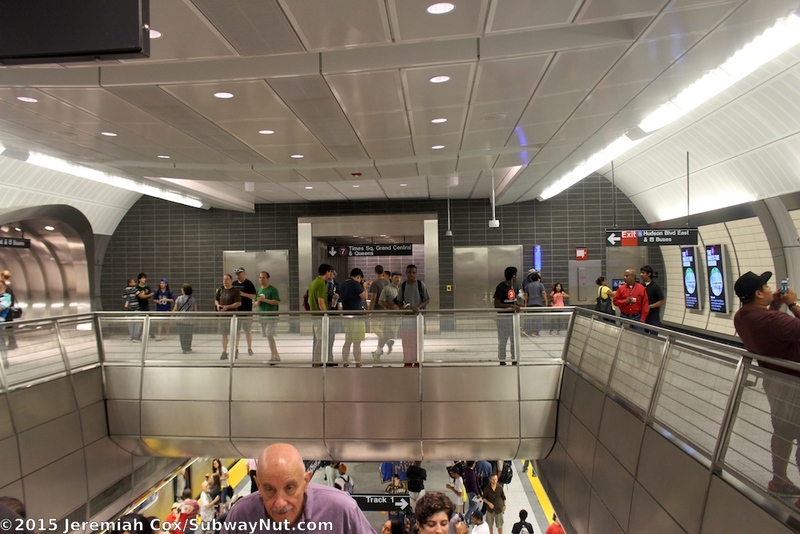 It has curved walls with the same off-white tiles and silver sheeting and slightly indirect lighting as the platform. There are no traditional static advertising panels, just a series of 24, 55-inch vertical digital screens that will show advertising and service advisories. To finally leave the station there are two, wide angled upwards tunnel shafts at the southern end of the mezzanine. 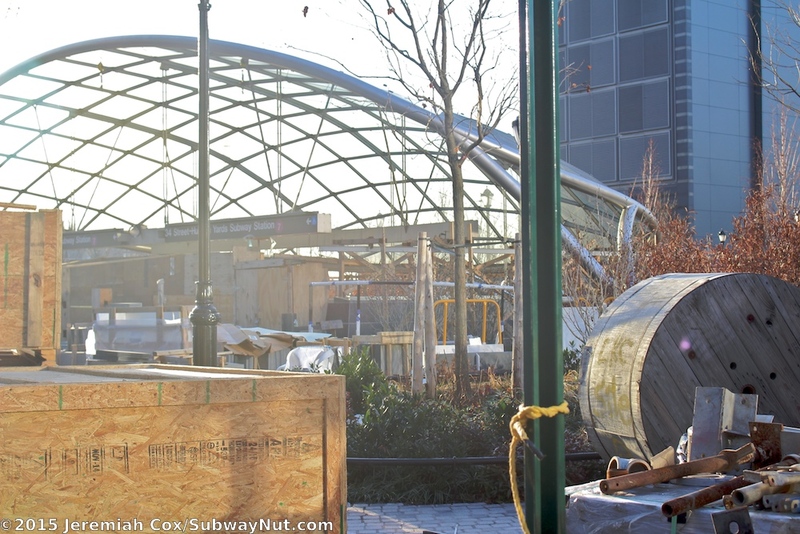 A third tube up to a secondary entrance at 35 Street is still under construction, right now there are simply painted cinderblocks and a door where this tube will be. 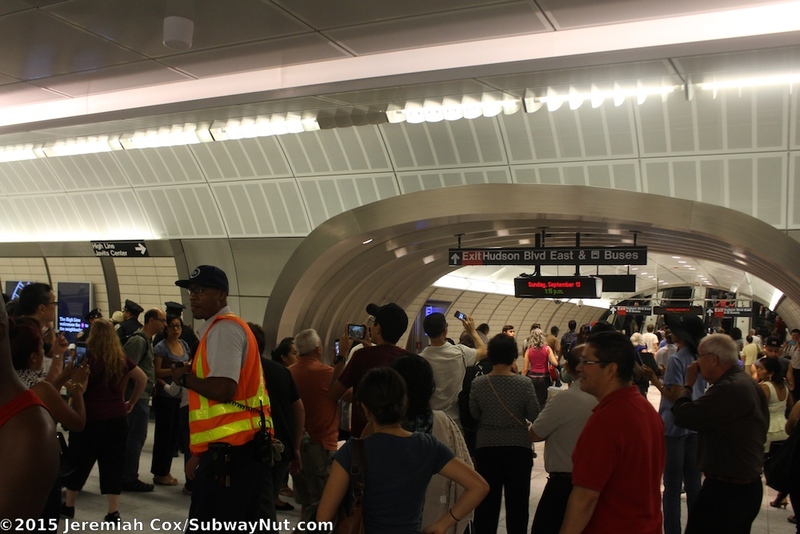 One tube contains four escalators with similar curved walls and indirect lighting. The second tube at the extreme southern end of the mezzanine has two inclined elevators and an additional escalator. The inclined elevators (that almost feel like a funicular, that's what everyone was overhead while riding one on opening day) are small silver boxes that can accommodate 15 passengers or 5 wheelchairs and travel 82 feet vertically and 152 feet horizontally at a speed of 100 feet per minute. The ride feels extremely slow compared to the escalators and takes about two minutes. The third escalator is in this same tube and a glass wall divides it from the funicular elevator's ROW shaft and generally seems to go faster than the inclined elevators. The two shafts lead to the station's upper mezzanine, 27.6 feet below street level. This mezzanine has vertically curved, cylindrical walls, a high flat ceiling and contains two banks of turnstiles with the token booth in-between them. 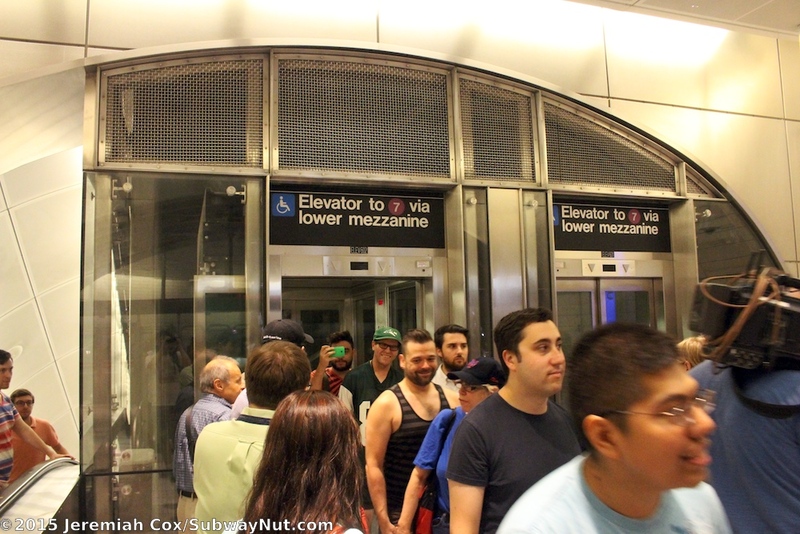 Two public restrooms (the plumbing in the women's room was having problems on opening day causing the restrooms to be closed) are within the narrow area within fare control, alongside the escalators down to the lower mezzanine. 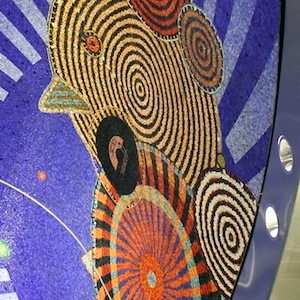 The token booth has a unique silver cylindrical shape, with two clearly structural tiled columns on each side of it. There are also two more columns on each side of the escalator bank to the street. The TVMs are harder to spot (there two banks of two) and are in small recesses in corners of this circular mezzanine (with silver doors to various non-public ancillary rooms). In the center of the ceiling forming a small oculus above this curved sided room is a portion of Fucktional Vibrations. To finally reach the street (isn't that the goal of any subway station?) there is a wide bank of four escalators with narrow staircases on each side up to street level. An elevator up to its own landing (that broke down on opening day during the dignitary ceremony), with airy glass sides. 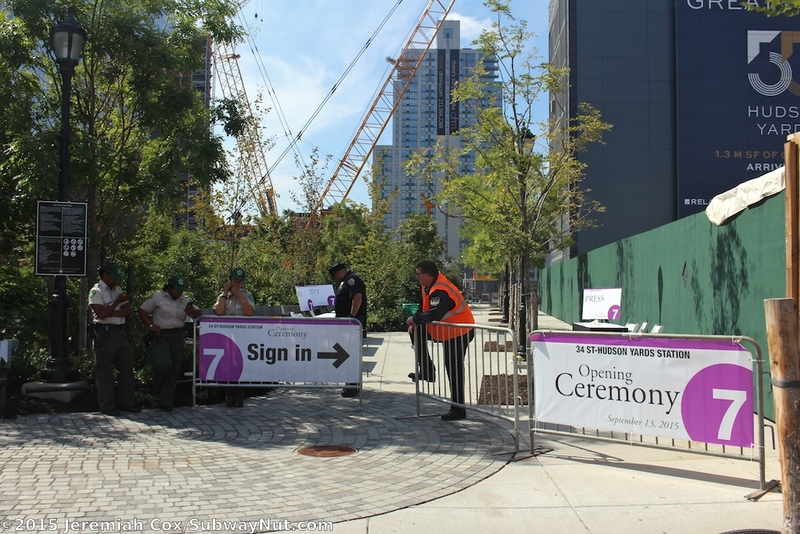 The exit is located in the southern block of Hudson Park and Boulevard in a wide plaza with plenty of seating and trees. The escalators are covered by a wide curved glass canopy, with additional glass windscreens to try and keep water off the escalators. To the South towards 33 Street is a massive construction site with cranes and excavators. 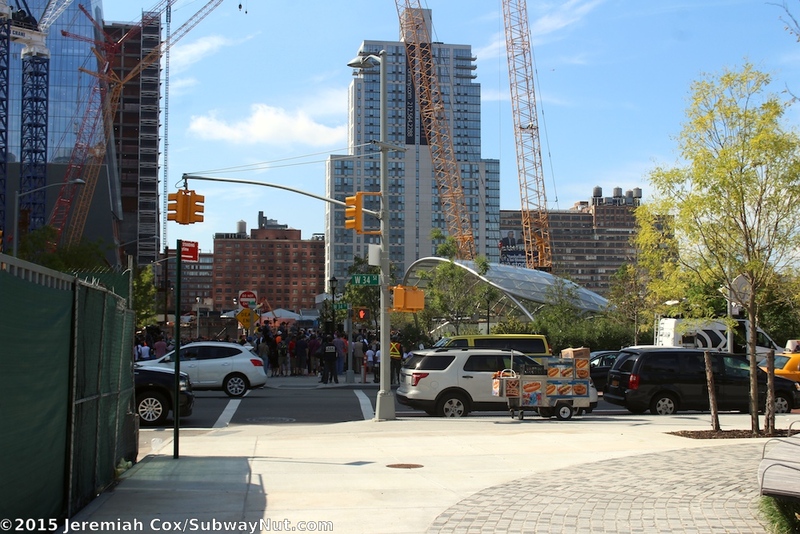 Directly north is the new intersection of 34 Street and Hudson Boulevard East, a newly mapped street (that dead ends at it's southern end in front of the station at the moment) running between 10 and 11 Avenues and currently open as far north as 38 Street with greenway parkland extending to 39 Street. The northern portion of the park is built over Amtrak's Empire Connection. 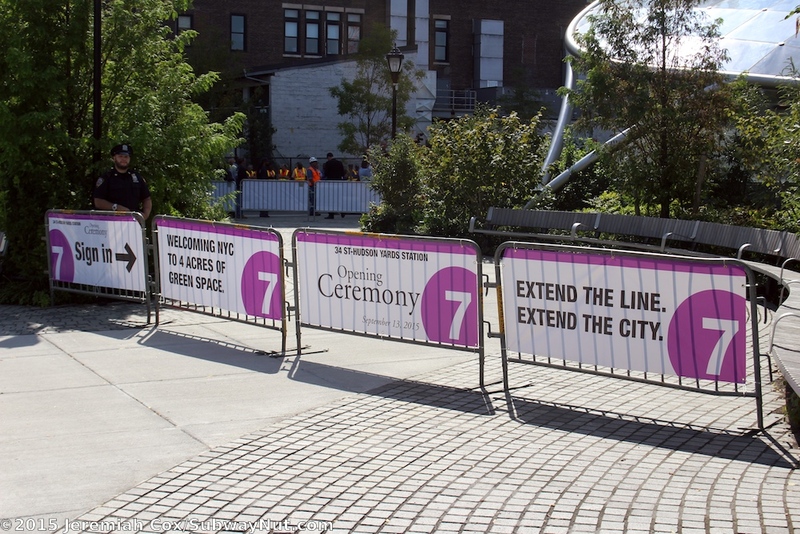 Subway barricades covered in sheeting for the 7 Opening Ceremony, Extend the Line, Extend The City. 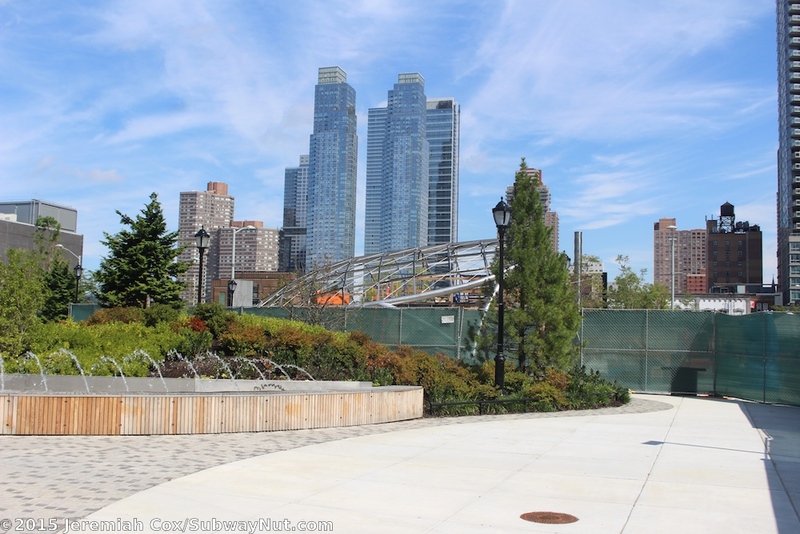 Welcoming NYC to 4 Acres of Green Space.